We are extremely proud to introduce a new marine product within the JOWA family. We are extremely proud to introduce a new marine product within the JOWA family – The JOWA Reverse Osmosis (RO) Water Maker. JOWA RO Sea is a water maker designed by the leading RO experts in Scandinavia. It is a compact plug and play system with the capacity to produce 15-30T potable water per day. 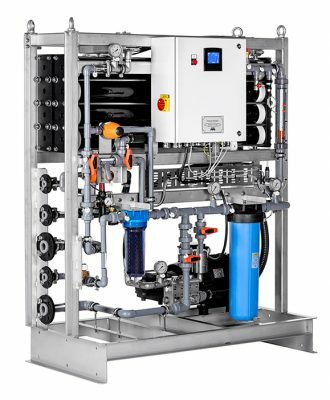 Using proven and environmentally friendly Reverse Osmosis technology, our design represents JOWA’s ‘made for marine’ philosophy; delivering a product that can handle the tough marine environment with the minimum of maintenance. JOWA RO systems use the latest technology and only high quality material for reliable and long lasting system.